It’s the beginning of Fall, football and the holiday season along with tailgates, game nights, comfort foods, and weight gain. 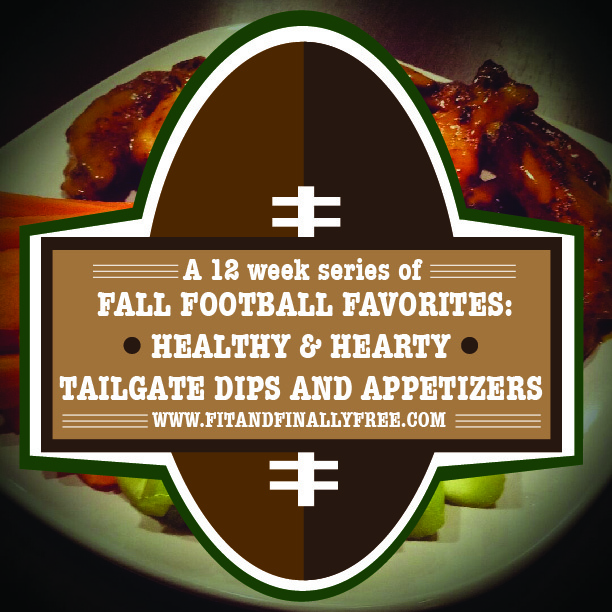 Starting this week, I am debuting a new 12 week series called Fall Football Favorites: Healthy and Hearty Tailgate Dips and Appetizers. Each week, I will post a new healthy recipe of some of your favorite party foods but prepared with a healthy twist. I hope you will enjoy this new series and will prepare them for your family and friends. These dips and appetizers are great for any occasion. I can’t wait for you to try them! Post your pic and let me know if you and your friends like them.